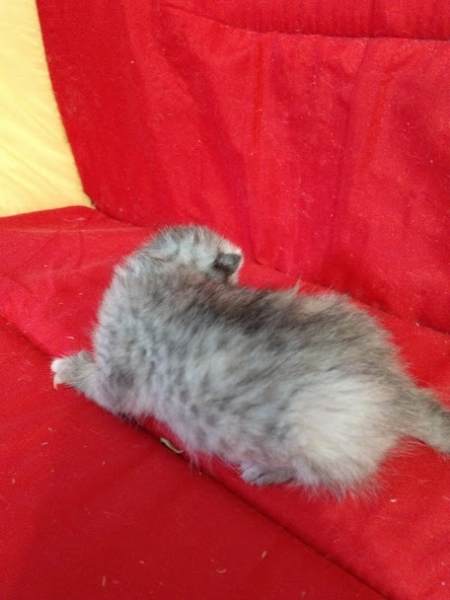 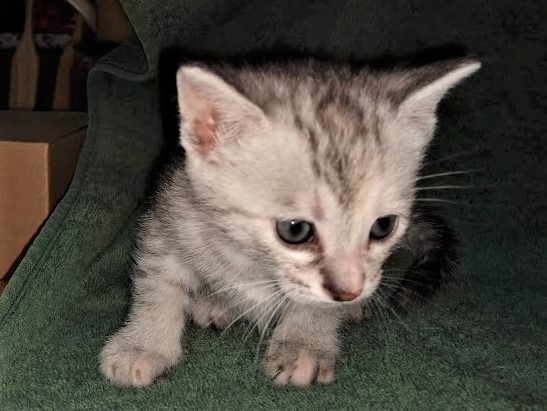 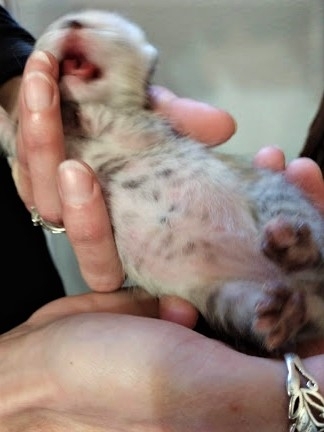 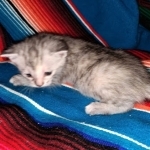 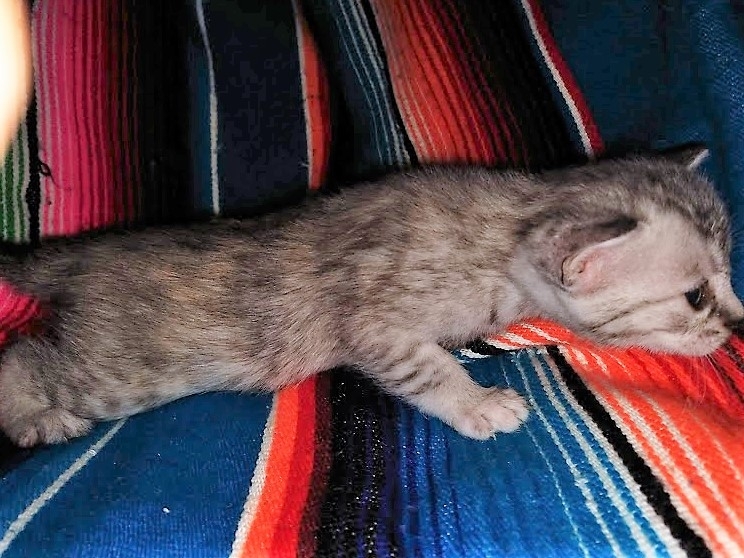 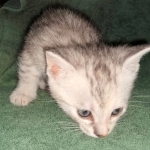 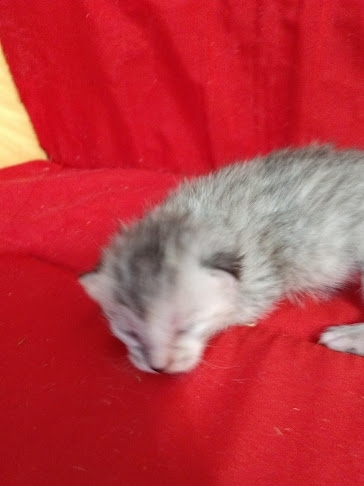 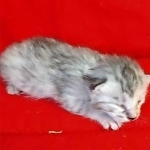 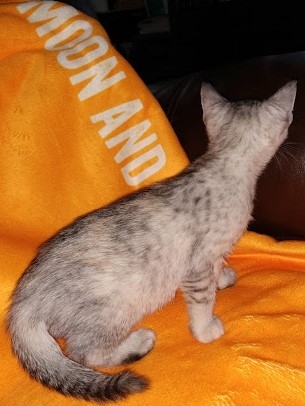 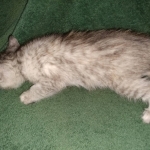 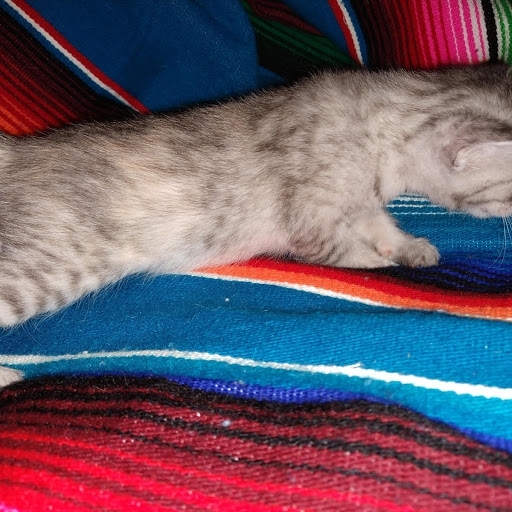 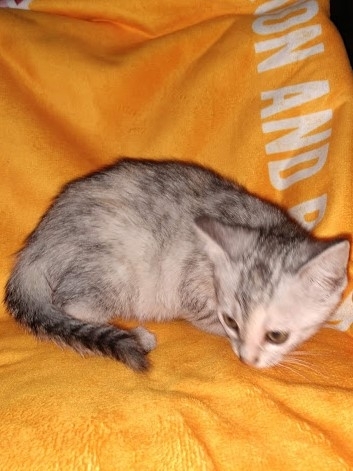 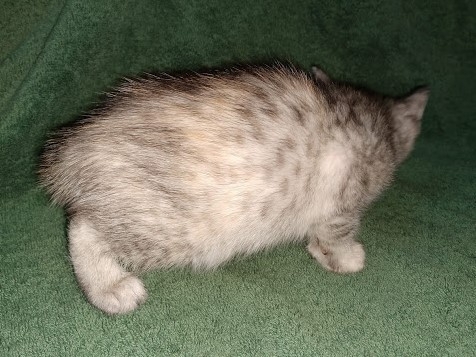 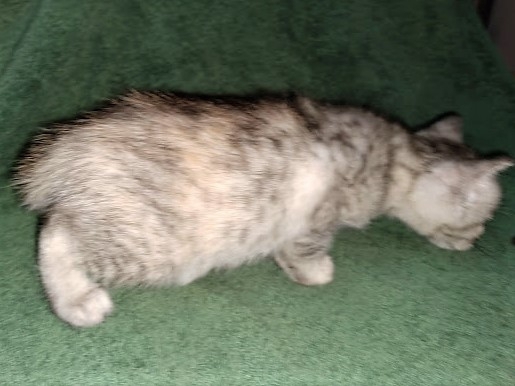 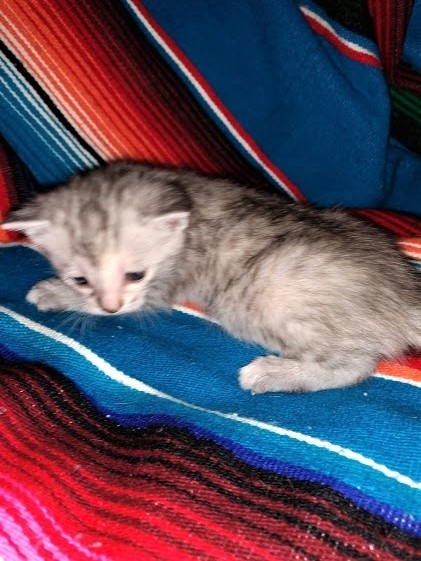 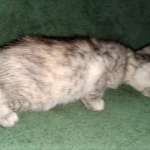 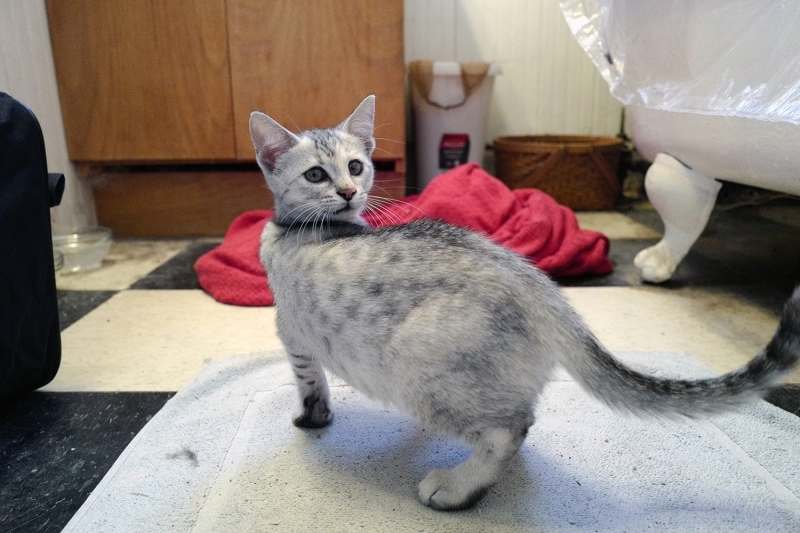 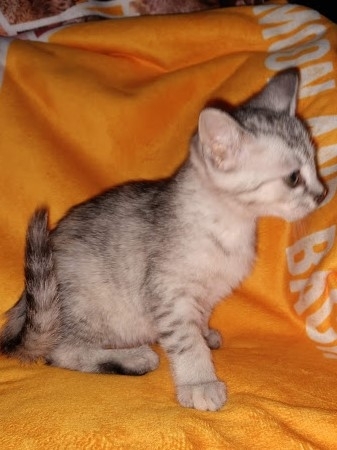 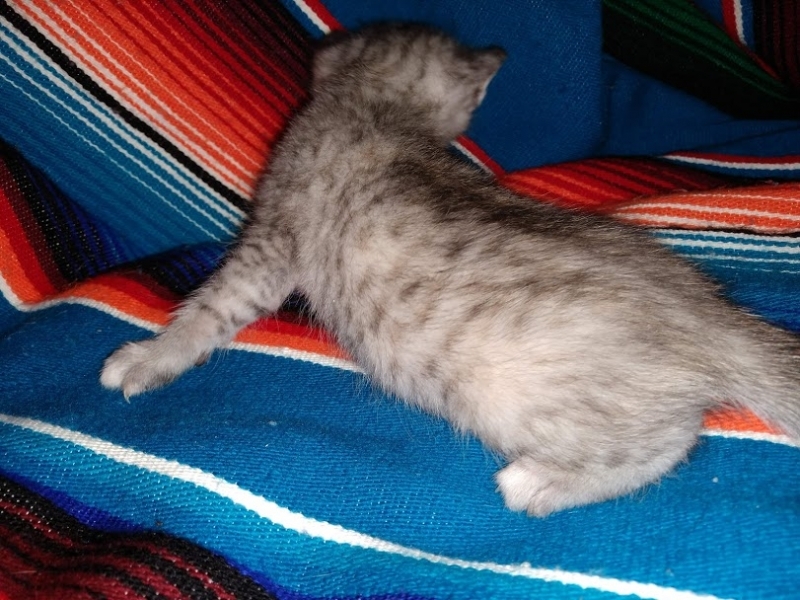 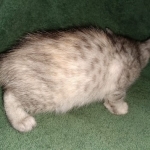 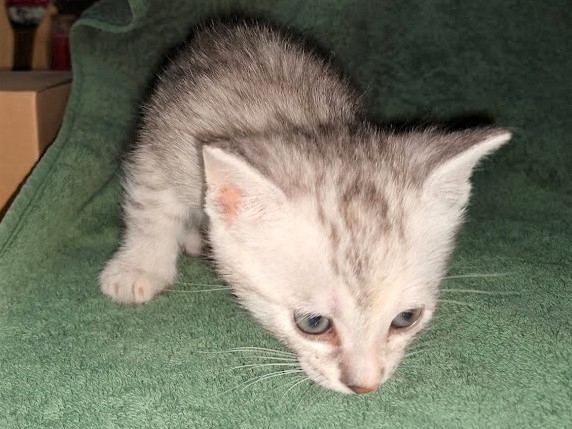 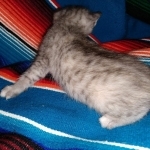 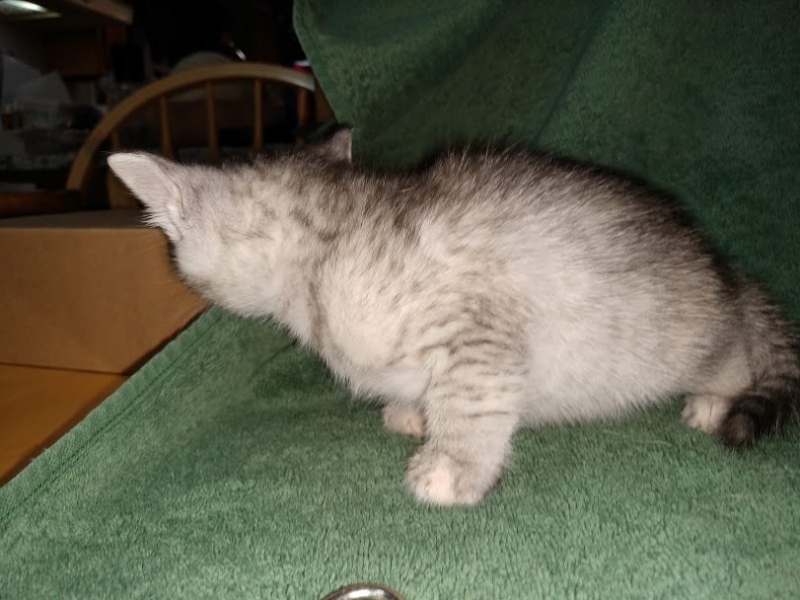 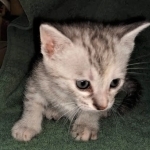 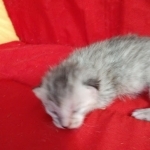 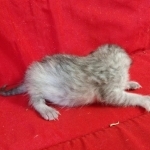 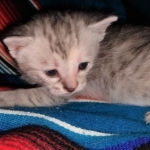 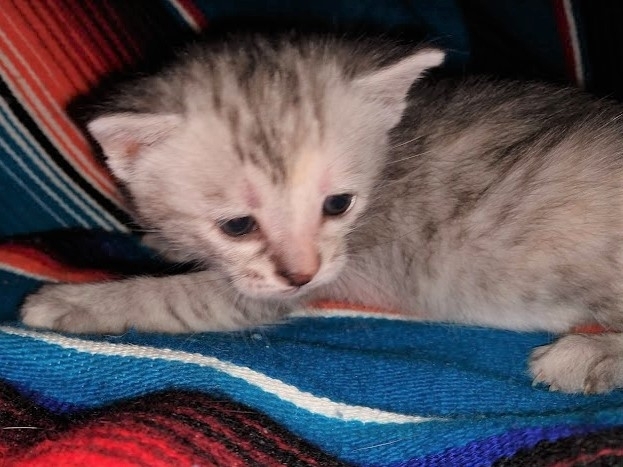 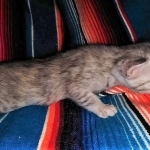 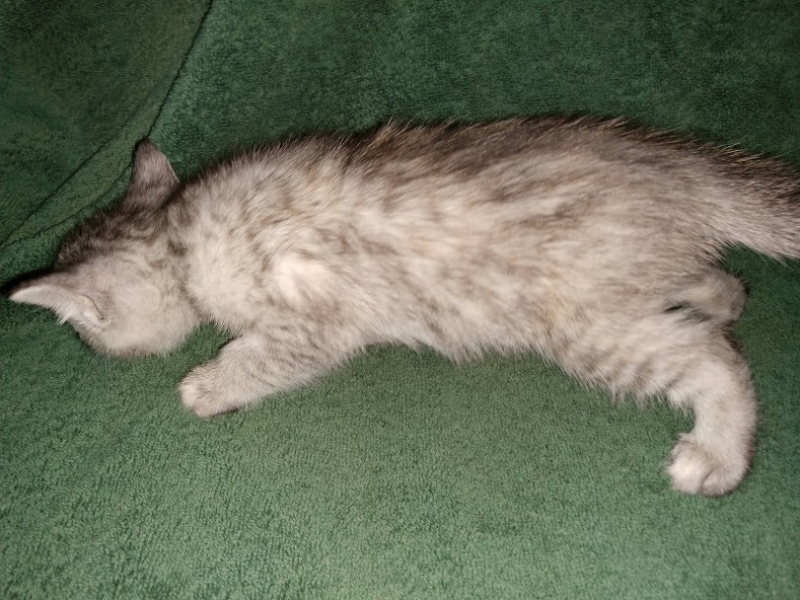 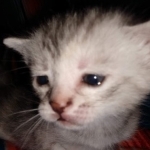 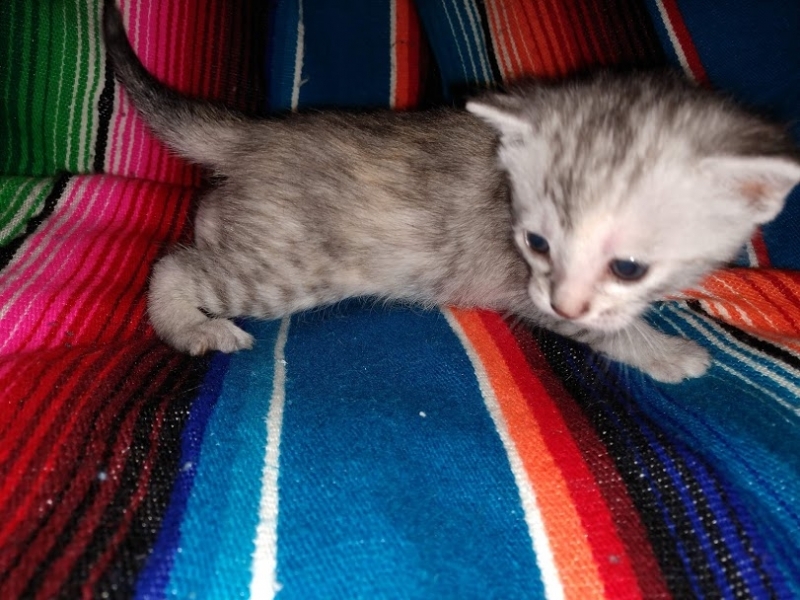 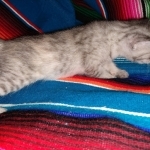 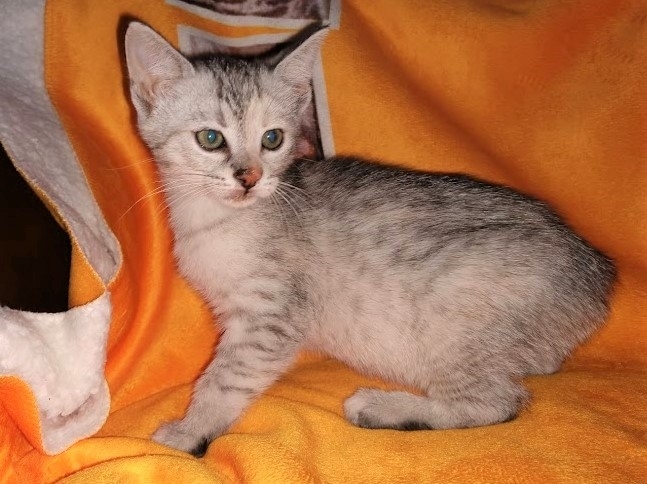 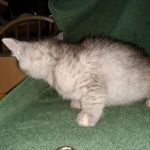 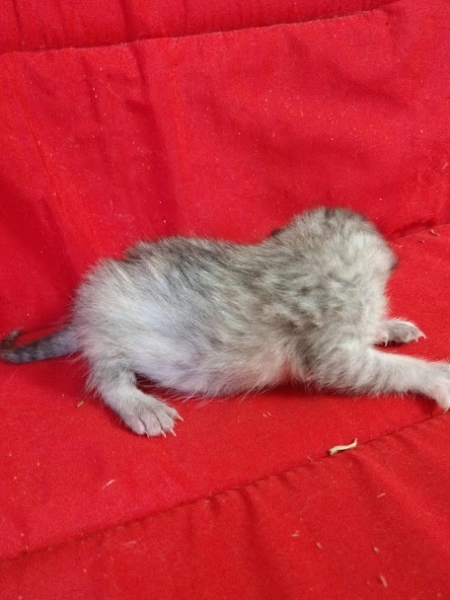 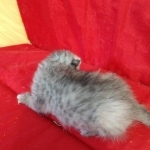 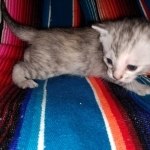 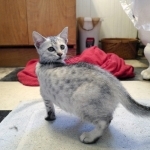 This beautiful Dilute calico girl will have silver and pale yellow patches with spots just like her mom. 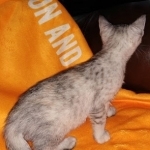 A truly unique non standard color she is so very unusual among late generation savannahs. 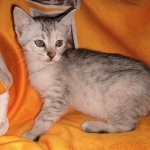 She will be going home to Amy In Maine. 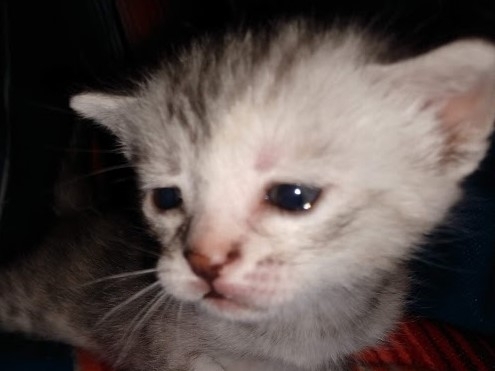 I just want to let you know I gave her a middle name of Eloise. 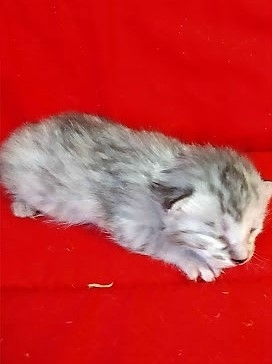 Here are some pics of her from this morning. 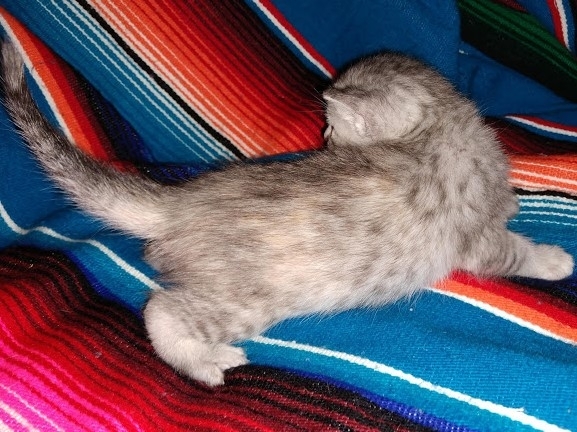 She is the funniest little fur ball of energy.